On 15 January 2018, the Government promulgated Decree No. 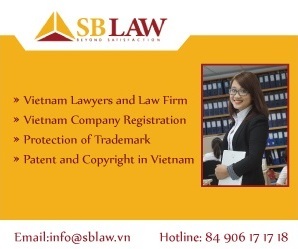 09/2018/ND-CP detailing Law on Commerce and Law on Foreign Trade Management on activity of sale and purchase of goods and activities directly related to the sale and purchase of goods of foreign investors, economic organizations with foreign owned capital in Vietnam (“Decree 09”). Except for cases of implementing import right, wholesale right of lubricating oils and greases as stipulated in point b, clause 4, Article 9 of Decree 09, the economic organizations with foreign owned capital are not obligated to obtain trading licenses when implementing the export right, import right and wholesale right.  51% or more of chapter capital is held by an economic organization(s) prescribed in point a of Article 23 (i.e. organizations of which 51% or more of chapter capital is held by a foreign investor(s), or a partnership has a majority of partners being foreign individuals in respect of economic organizations being a partnership) (point b, clause 1, Article 23);51% or more of chapter capital is held by a foreign investor(s) and an economic organization(s) prescribed in point b of Article 23 (point c, clause 1, Article 23). Economic organizations having retail outlets in Vietnam, which become economic organizations with foreign owned capital or economic organizations stipulated in points b and c, clause 1, Article 23 of the Investment Law as a result of capital contribution, must apply for the Trading License and License for setting up a retail outlet. According to Decree 09, the licensing authority is DOIT, instead of provincial People’s Committees as stipulated in Decree 23. For some cases of granting the Trading License, DOIT must consult the Ministry of Industry and Trade (MOIT) and other relevant Ministries in advance. In respect of License for setting up a retail outlet, in any case, DOIT must consult MOIT before issuing or amending this license. 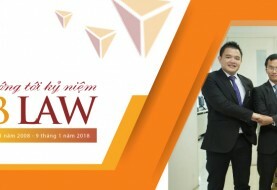 Besides goods purchased in Vietnam and goods legally imported into Vietnam, Decree 09 permits economic organizations with foreign owned capital to export goods which are processed in Vietnam under the order of such organizations, provided that certain conditions are satisfied. Different from Decree 23, Decree 09 stipulates that even for the first retail outlet, the economic organizations with foreign owned capital must apply for the license to set up this outlet and satisfy certain conditions. If the first retail outlet is in the same province/city with the head offices, such organizations are entitled to apply for the Trading License and the License for setting up the retail outlet at the same time. For outlets other than the first one, if satisfying the following conditions, these outlets shall not be subject to economic need test (ENT): having area of less than 500m2, being in shopping centers and not being in the form of convenience stores or mini supermarket. According to Decree 09, before 31 January every year, economic organizations with foreign owned capital must periodically make a report on the implementation status of the activity of sale and purchase of goods and activities directly related to the sale and purchase of goods in accordance with Form 13 attached to this Decree (previously, deadline for reporting is 30 January and there are 3 separate reporting forms).